An alternative little pigs' tale which encourages friendship and team work, over self-centredness, Warm, rich and funny - a beautifully illustrated title from acclaimed picture-book maker Inga Moore. When two little pigs leave their two little homes to go out walking one morning, little do they know that they'll come back to find their friends Bear and Moose have moved in. It's very nice to have your friends move in. Not so nice if they are so big that your homes end up collapsing! Can the little pigs find a way to build a house in the woods where all four of them can live together? 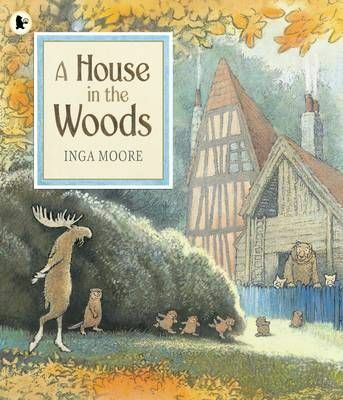 In this warm, funny and comforting story of home and friendship, Inga Moore has created a cast of memorably lovable characters and an atmospheric woodland world which children will want to visit again and again.